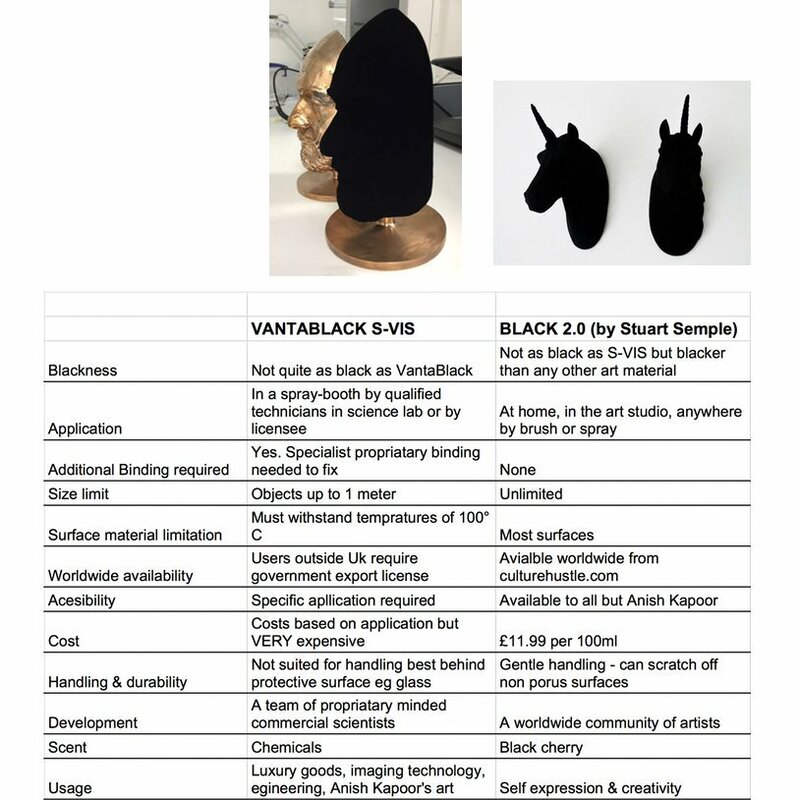 Artist Stuart Semple responds to Vantablack 2.0 with Black 2.0, making it available to anyone who wants it. Anyone, of course, but Anish Kapoor. Images courtesy of Stuart Semple. The ongoing saga over the artistic rights to Vantablack, the blackest black on the planet, continues. As a quick refresher for the uninitiated, British artist Anish Kapoor has exclusive rights on being able to paint with Vantablack, which was created by British company Surrey NanoSystems. As a retort to this, another British artist, Stuart Semple, created what he calls “the world’s pinkest pink,” along with the “most glittery glitter,” and made them available for anyone to buy—except Anish Kapoor. Kapoor, to his own credit, got his hands on the pink, and goaded Semple with an Instagram pic. Still, it’s pretty damn black. On the product website it’s noted that it’s been developed in collaboration with thousands of artists across the globe along with color chemists, cosmetics industry specialists, and architectural coatings experts. Some of the effects of Semple’s Black 2.0 include a unique acrylic co-polymer binder, cutting edge “mattifyers” to reduce light reflection, non-toxicity and, all importantly, a black cherry scent. “With just one coat almost any object (even really shiny ones) become super-black and reflect next to no light, giving a Vantastic black hole type effect,” the website explains. 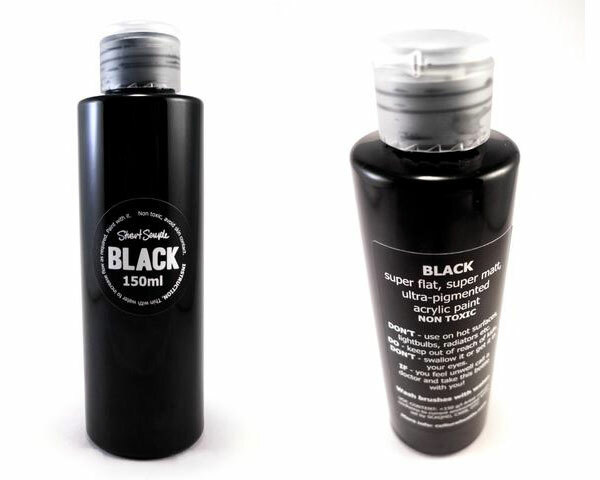 “IT IS IMPORTANT TO NOTE: this is not the blackest black in the world. 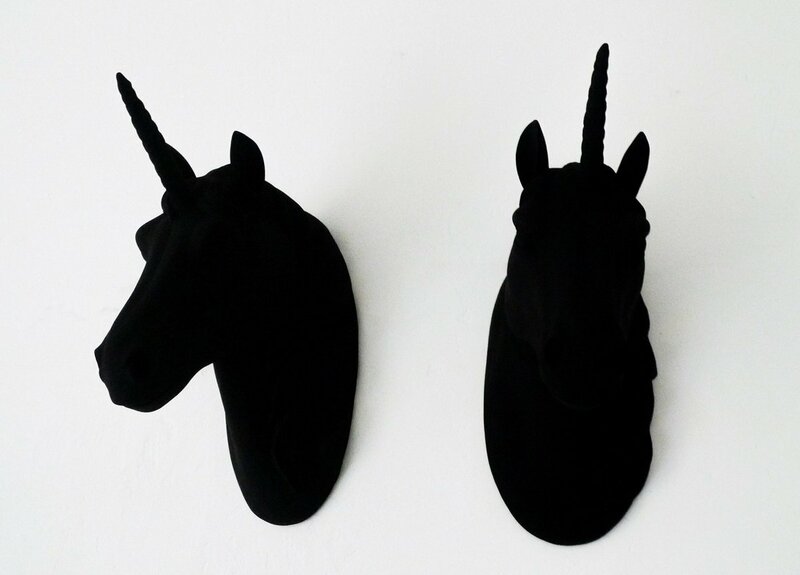 It is however a better black than the blackest black in the world as it is actually usable by artists.” These claims, of course, are TBD. Buying the product, like Semple’s previous colors, requires you make the legal declaration that you are not, of course, Anish Kapoor, or in any way affiliated with him. It’s available from Semple’s Culture Hustle store priced at £11.99. See more of Stuart Semple’s colors at the Culture Hustle website. See more of Semple’s art at his website.